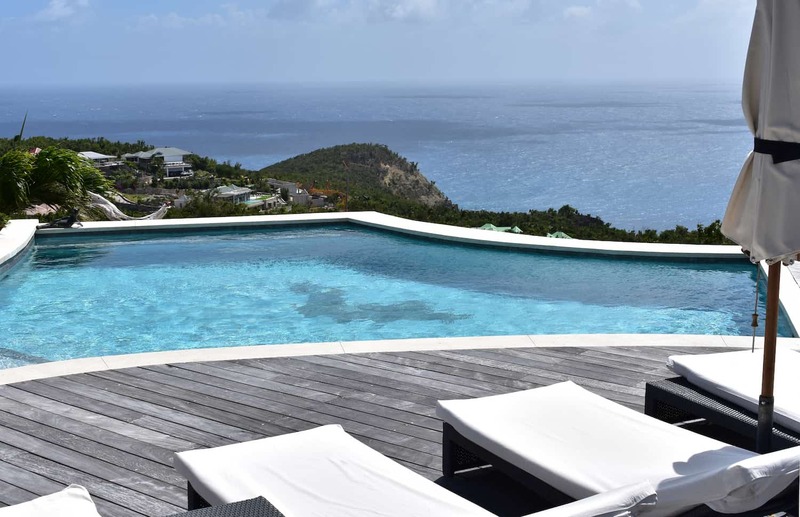 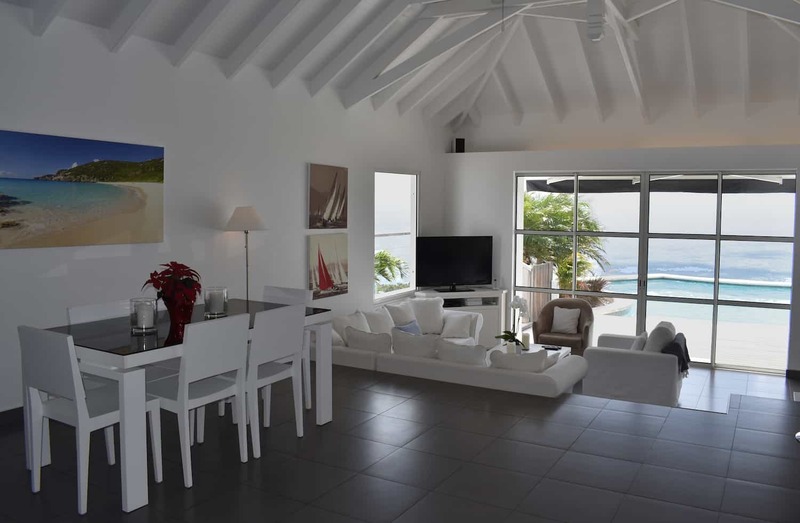 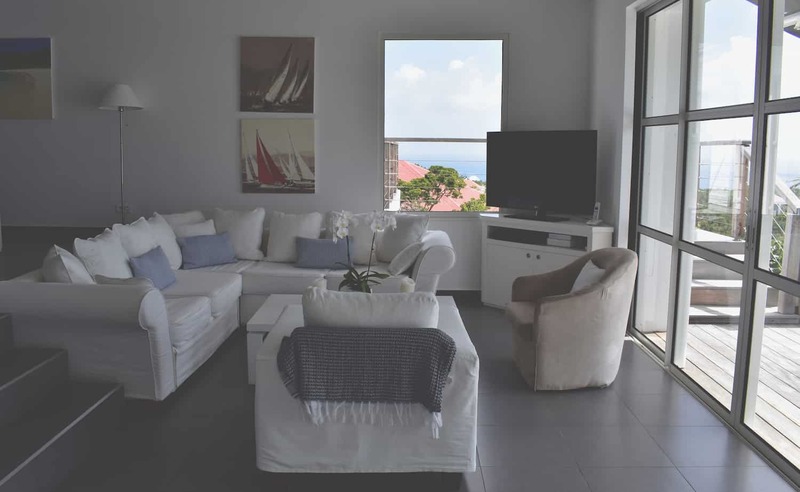 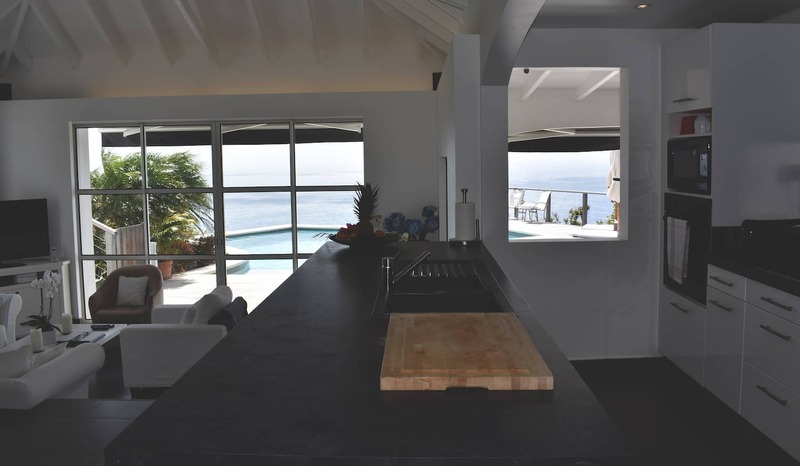 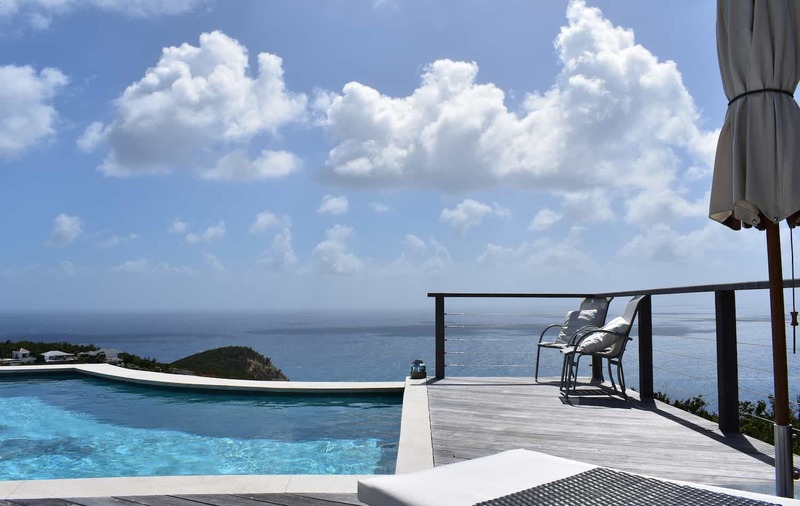 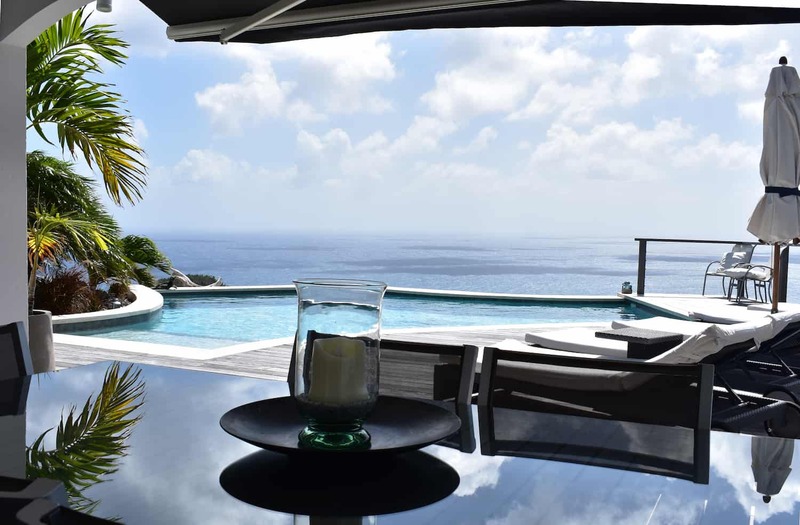 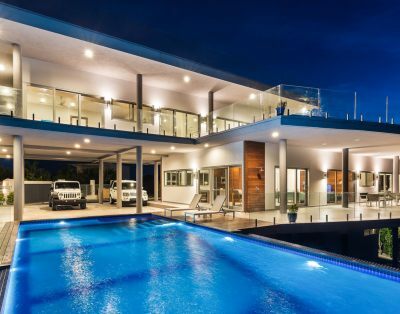 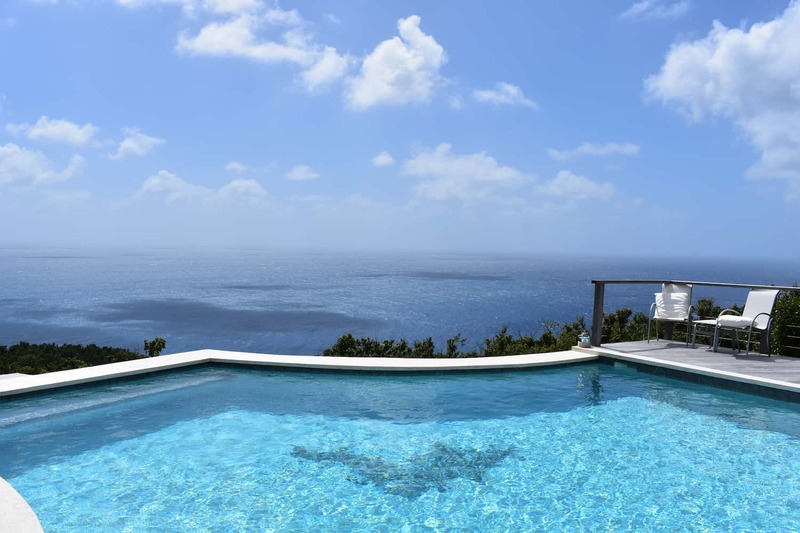 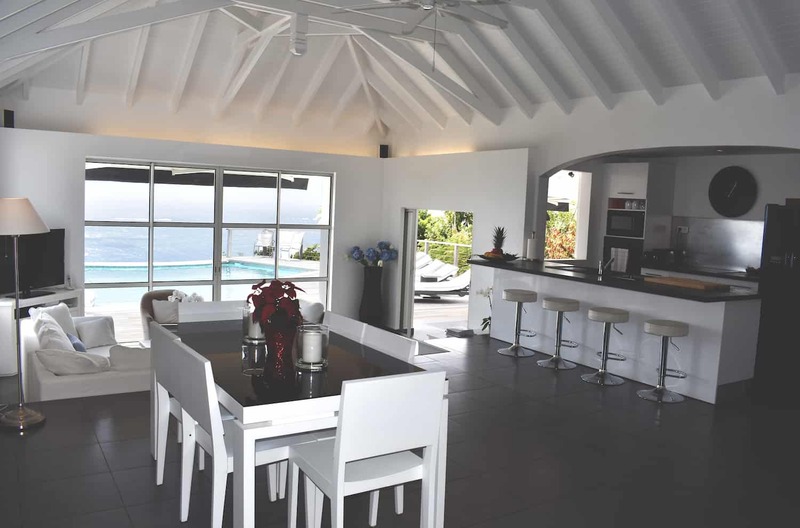 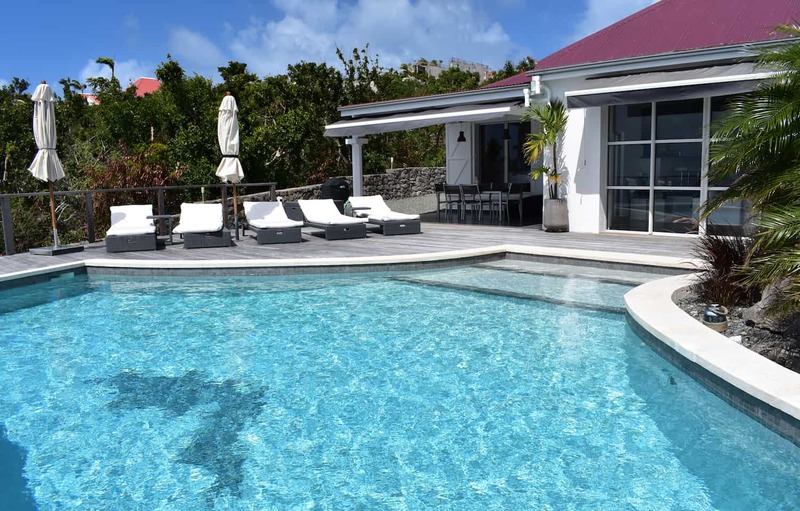 Villa Grand Large is a beautiful villa located near a wonderful location in St. Barts, South Gouverneur Beach, with staggering views of the Caribbean Sea and a short drive to the shops and restaurants of Gustavia. 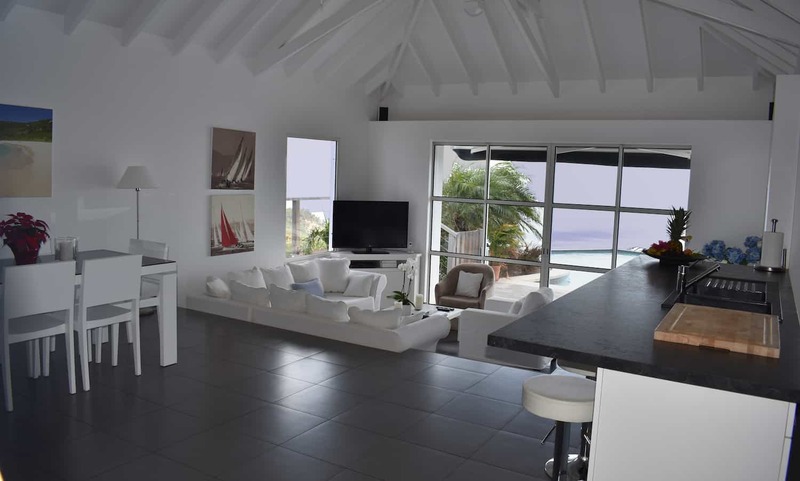 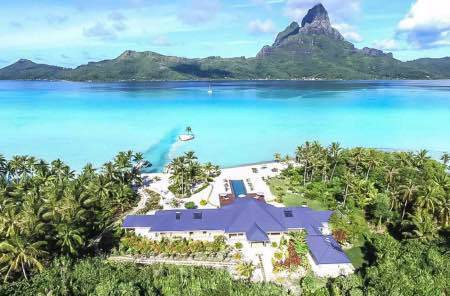 Villa Grand Large boasts privacy and spectacular sea views from all the rooms, featuring a modern design. 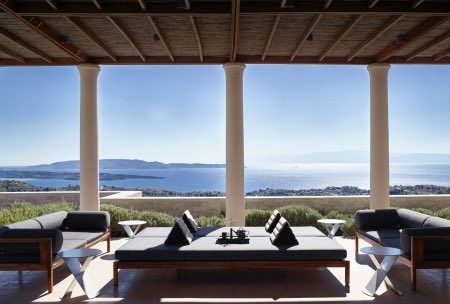 Enjoy the cooling breezes, which waft across the terrace, over the pool and into the open living, dining and sleeping areas. 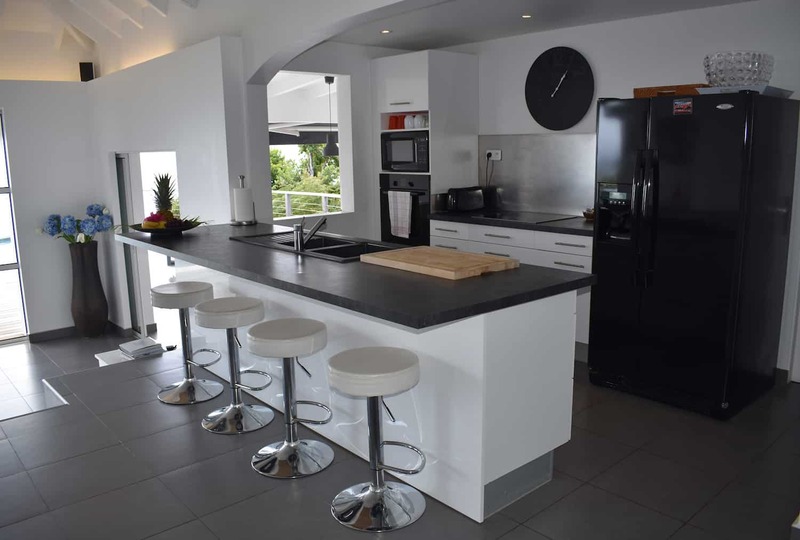 A fully equipped kitchen is open to the dining and living areas. 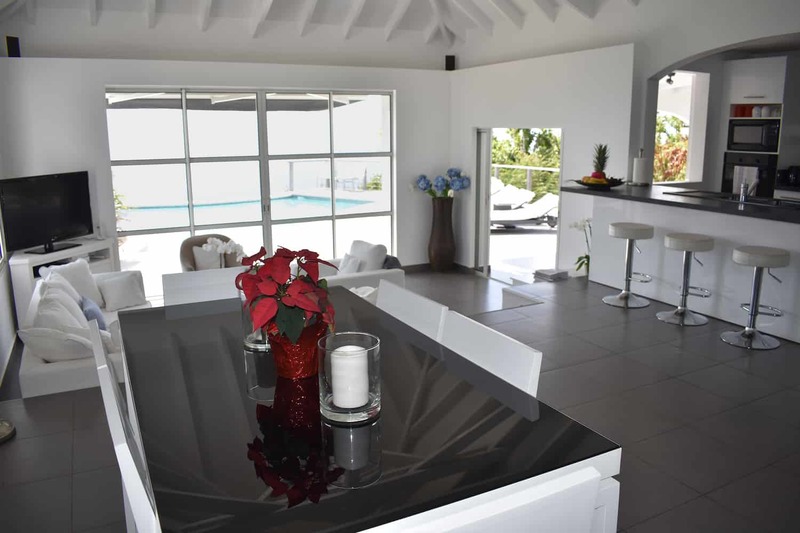 Right outside there is a nice spacious covered terrace with a dining table under a retractable awning. 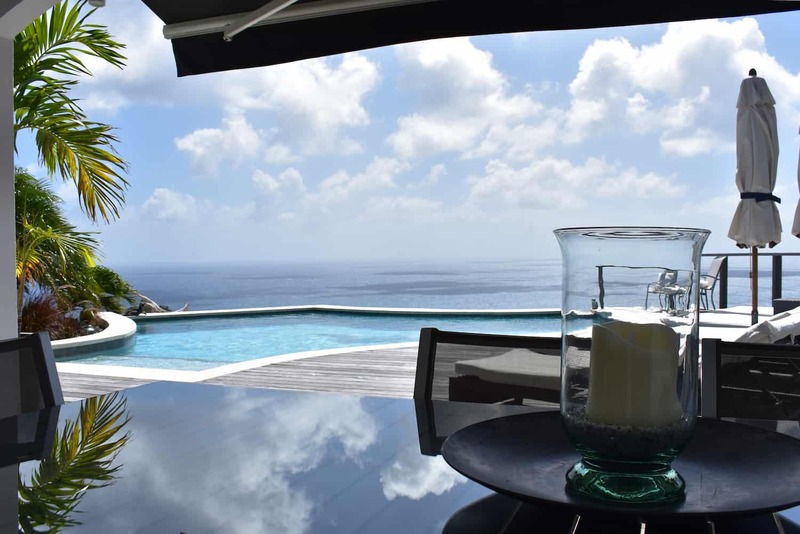 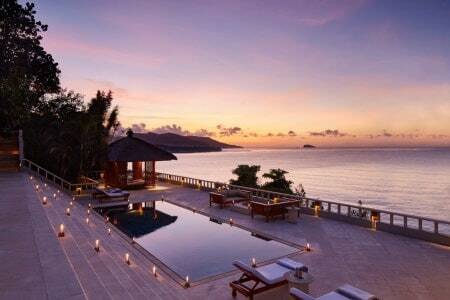 The infinity swimming pool is set on the expansive deck, featuring amazing sea views, especially during sunset time. 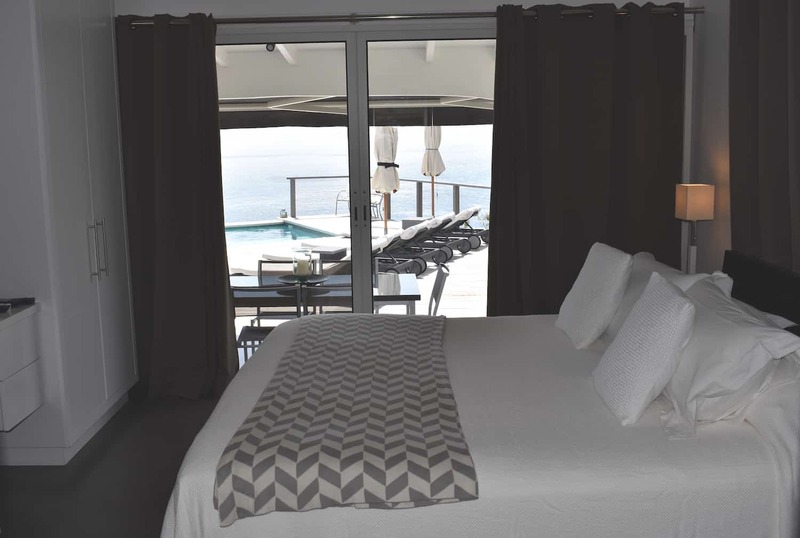 The three bedrooms have similar size and are located by the pool. 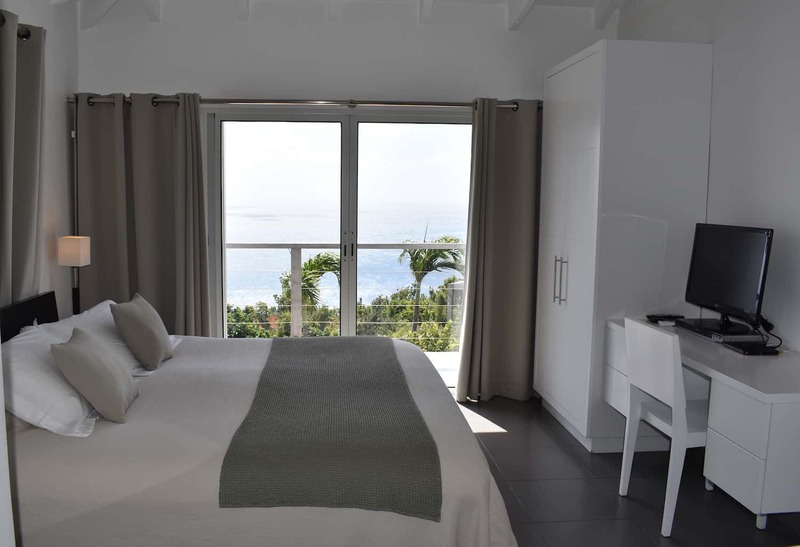 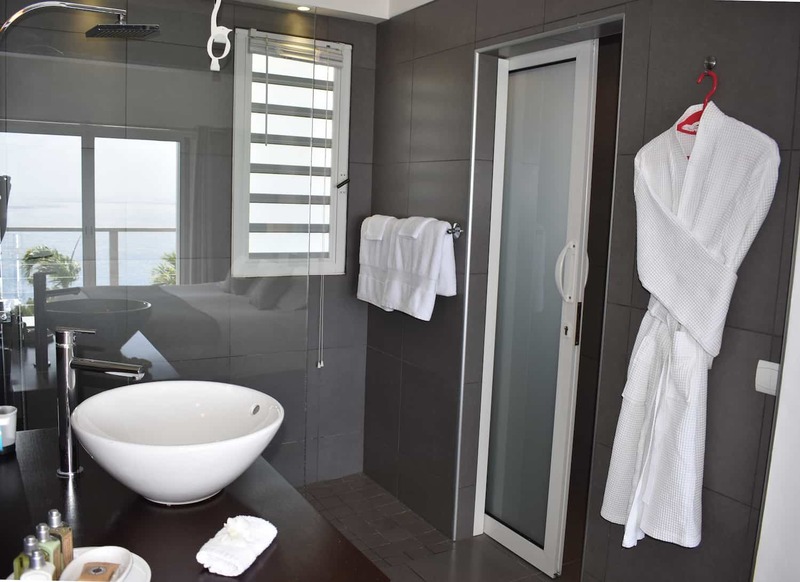 The three suites have queen-size bed, a Caribbean sea view, and an ensuite bathroom. 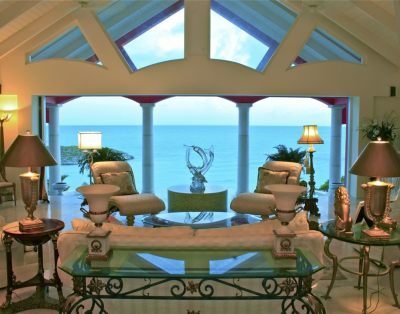 The ground to floor large windows can be opened letting the fresh ocean breezes inside. 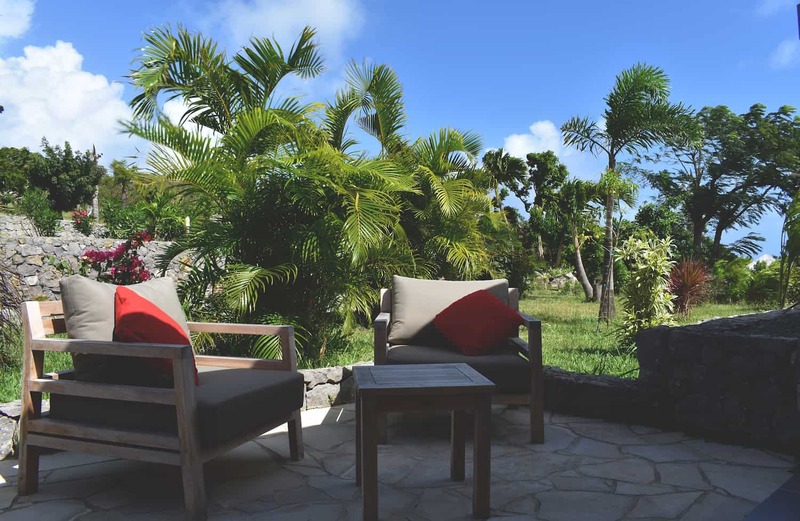 Enjoy the serenity and relaxing atmosphere at Villa Grand Large, Haute Retreats will be happy to assist you with your stay arranging all the services you need. 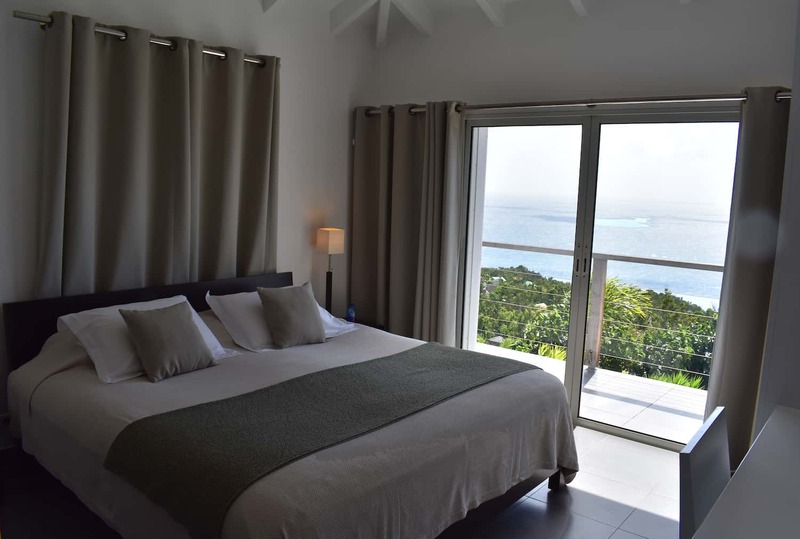 Bedrooms/Baths Description: Bedroom 1: King bed, ocean view, AC, satellite TV (French and USA), DVD player, walk-in closet, hair dryer. 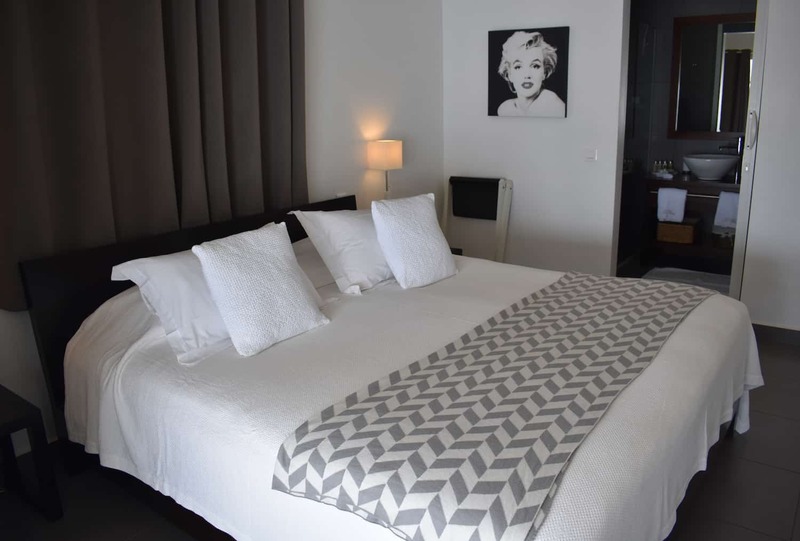 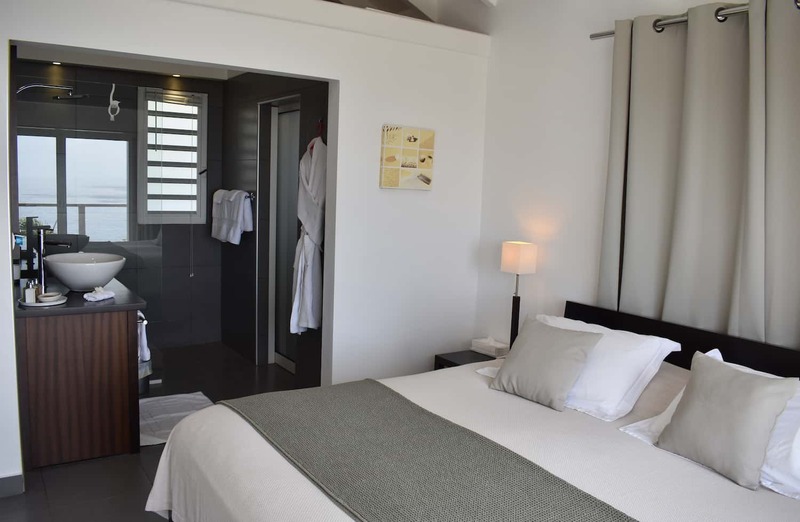 En-suite bathroom with rain head shower.Bedroom 2: King bed, ocean view, AC, satellite TV (French and USA), DVD player, walk-in closet, hair dryer. 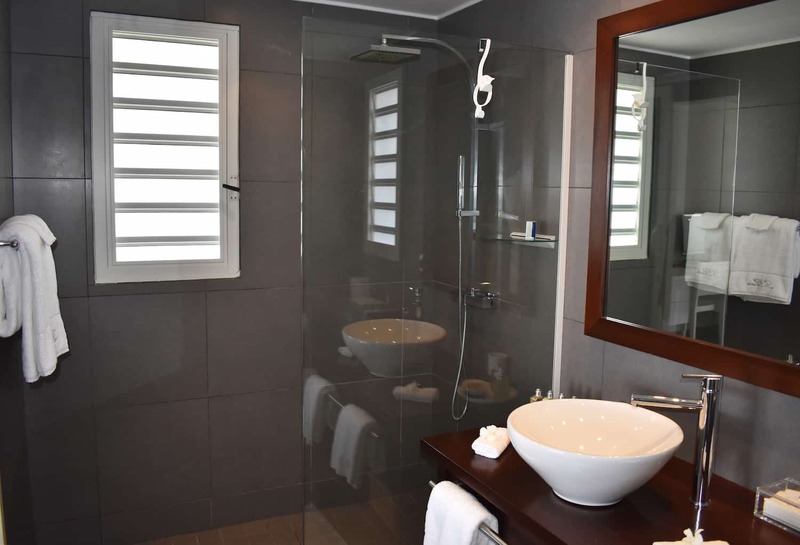 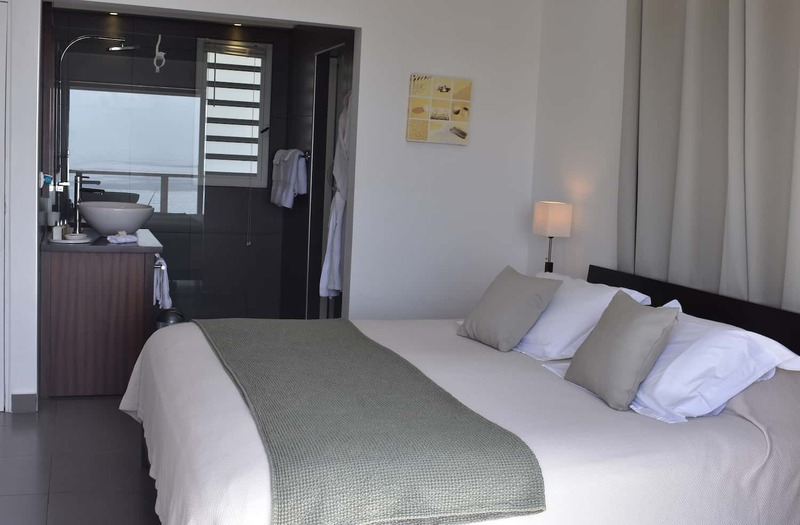 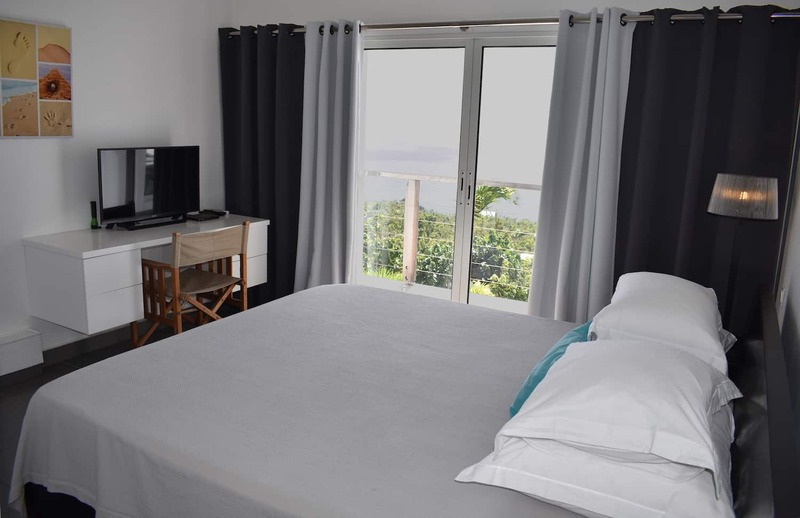 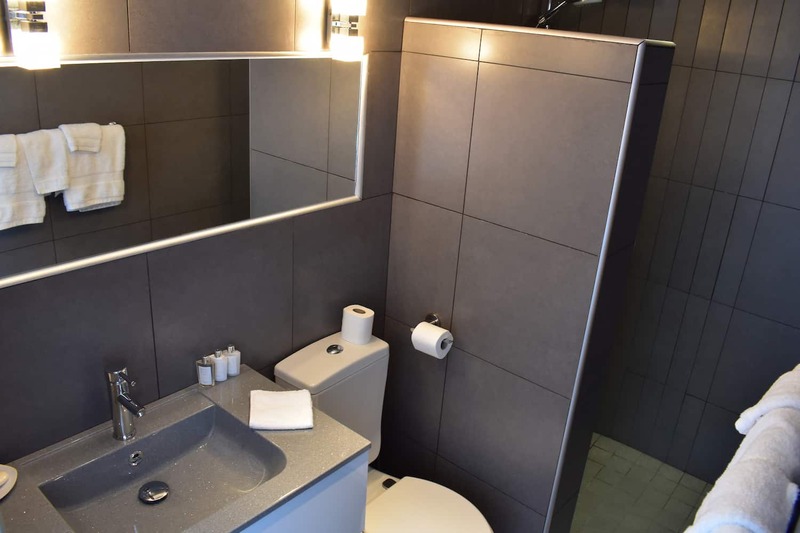 En-suite bathroom with rain head shower.Bedroom 3: King bed, ocean view, AC, satellite TV (French and USA), DVD player, walk-in closet, hair dryer, sun deck. 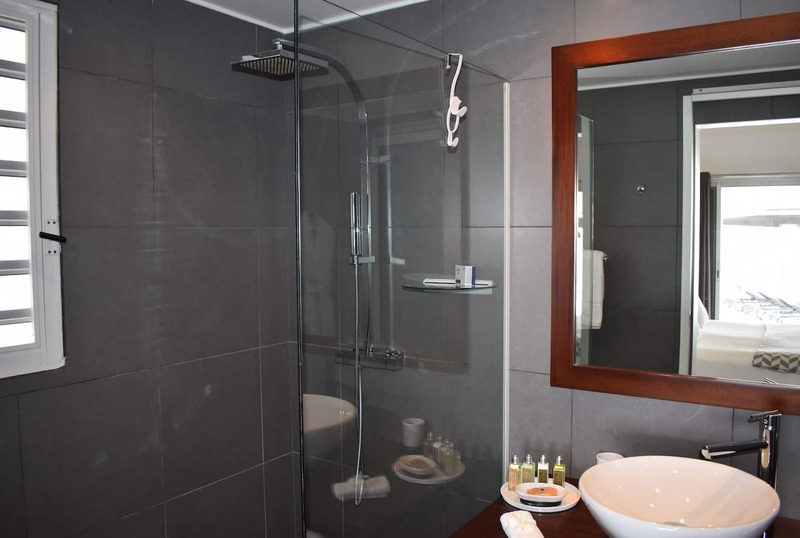 En-suite bathroom with rain head shower. 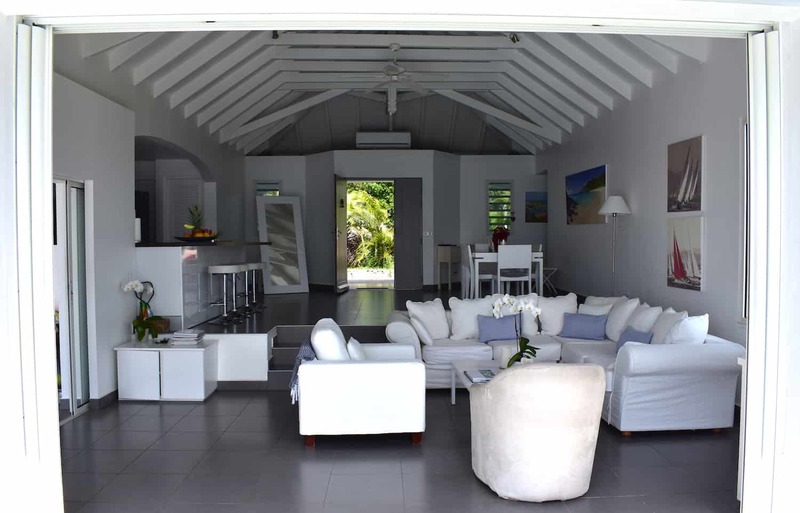 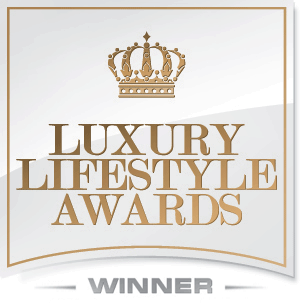 Optional Services: Car rental, private chef, butler, server, grocery and beverage shopping (pre-arrival and during your stay), liquor and wine delivery, nanny service, baby equipment, spa services, yoga and personal training, photography, and private airport transfer/car service can be arranged for an additional fee.